Arguably this is one of the finest first albums to have ever come down the pike, an album that’s not only matched by its originality, its contribution to the music scene, but for its innovation and style. Are You Experienced? broke all of the molds, yet for the most part remained true to the radio formatted times of the day, with only “Third Stone From The Sun” venturing in at close to the seven minute mark, and like planets alining, foreshadowing things about to come. I was all of sixteen back in the summer of 1967, certainly not experienced, but more than willing to learn, when this piece of historic wax rolled over me, bugging out my ears, and laying waste to nearly everything I thought I knew. The hour after I listened to this gem for the first time I was no longer the same person, it was like some Sunday morning go to church, hands in the air, hallelujah moment. My soul was saved, and the voice of god was ringing with jubilation. Even today, all these years later, I can still taste that summer’s heat, back before there were air-conditioners, back when the music flowed from my open bedroom window like waves of light, me sitting in the edge of the woods, hidden in a brush of tall grass, learning to roll my own. Funny, because just a few short years later I’d be sitting in Vietnam, already proficient at rolling my own, where tunes like “Purple Haze,” “Hey Joe,” and “The Wind Cries Mary” were the soundtrack to any given hundred degree day, with so much humidity I often wondered if the heatwaves rising off the red baked clay roads were real or the mere beginnings of another four hours of delicious hallucinations. 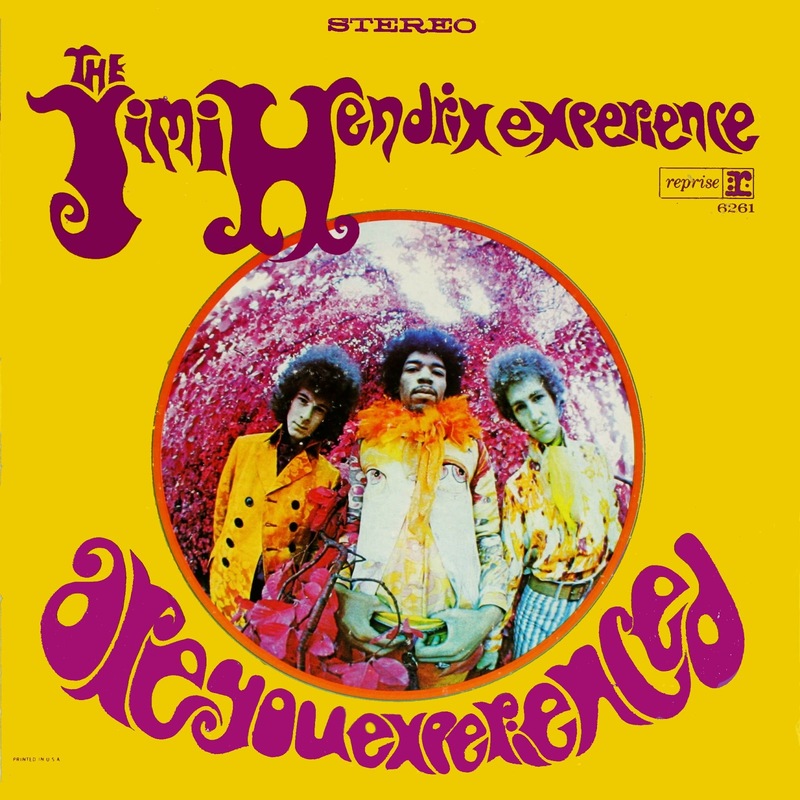 You are certainly free to suggest that Jimi Hendrix is over rated … you’re also free to argue that Jimi Hendrix was not the world’s greatest guitarist … but the one thing you can’t argue with is that Are You Experienced? stands as a singular monumental musical moment that can not be challenged, one that changed the world. *** Read the story behind the super iconic psychedelic album cover, one of the most influential of all time, as told by the photographer Karl Ferris here. One of the great debut albums. It's my favourite of Jimi's output. Wonderful.